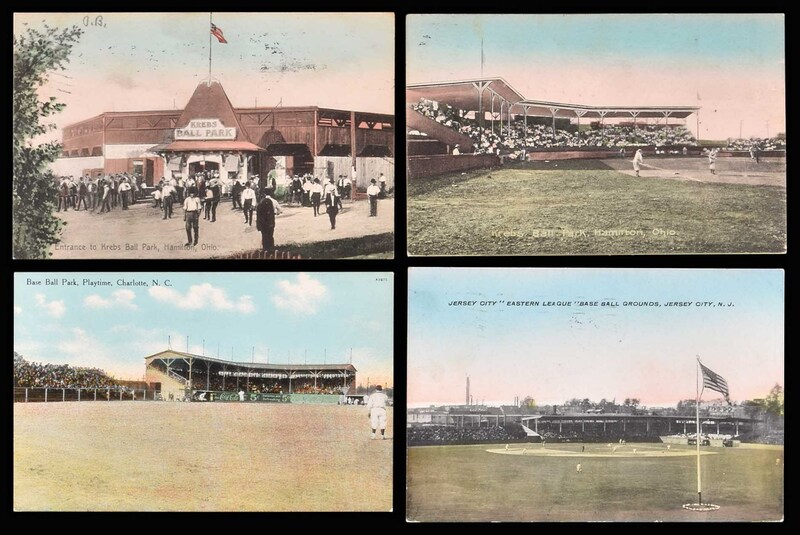 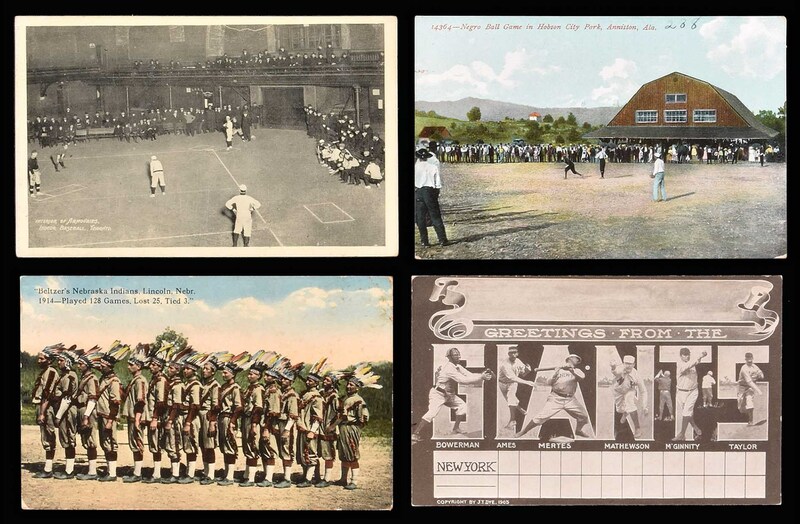 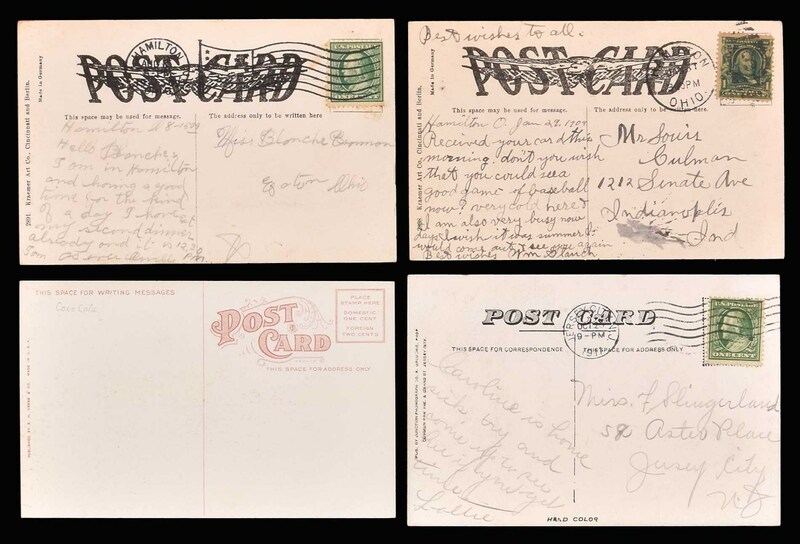 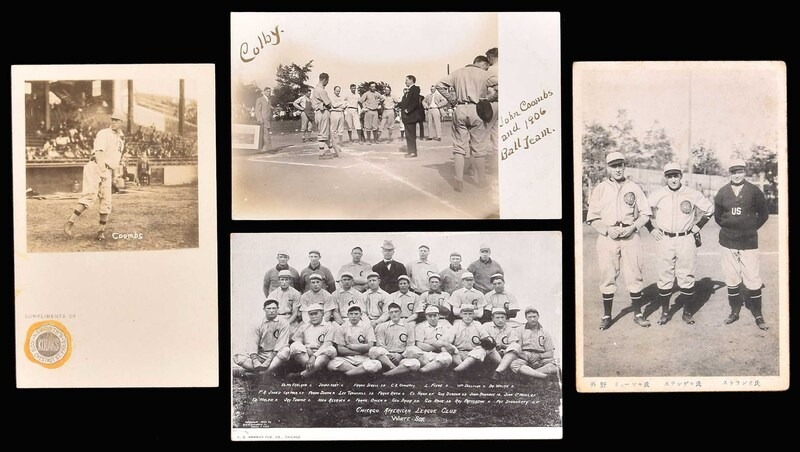 Diverse collection of baseball postcards spanning the approximate years 1905 to 1922. 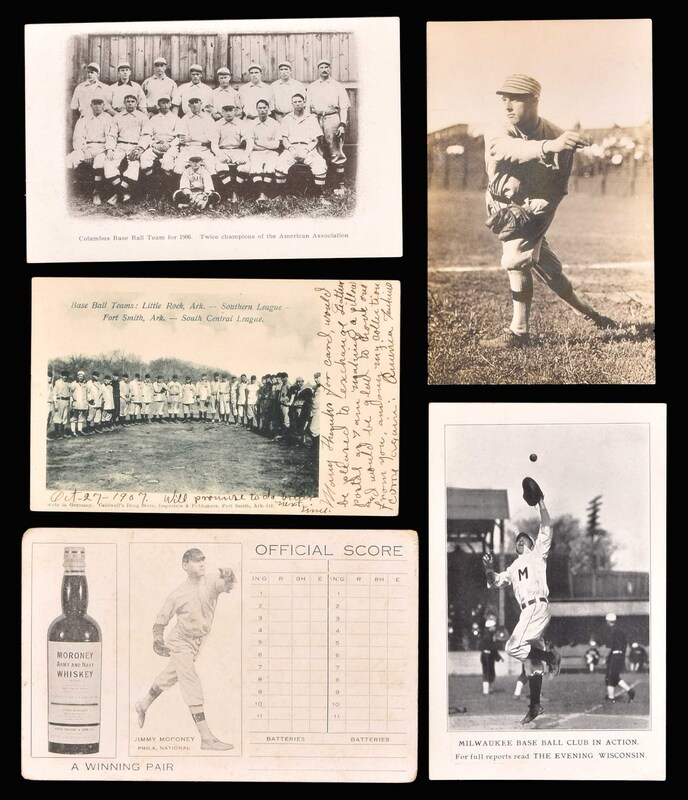 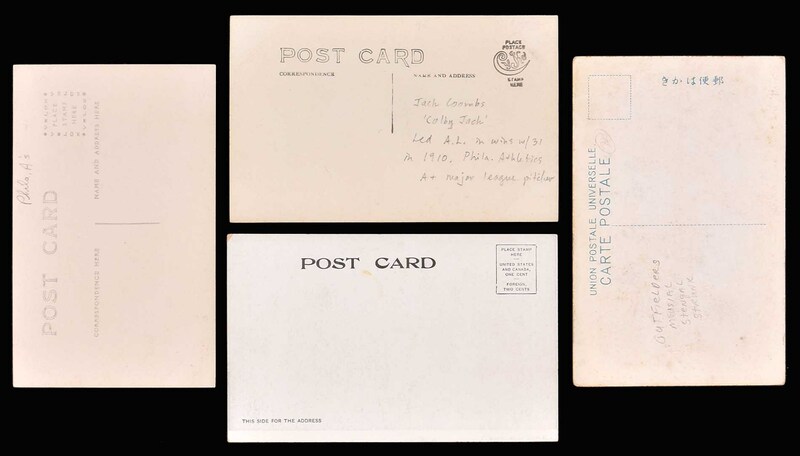 Included are three postcards picturing A's pitcher Jack Coombs, a 1922 Tour of Japan postcard featuring Casey Stengel, a circa 1905 Giants postcard featuring Mathewson, McGinnity, Dummy Taylor, and three other players, a postcard picturing an "indoor baseball" game in progress, a 1906 Chicago White Sox team-photo postcard, a 1914 "Beltzer's" Nebraska Indians team postcard, and nine picturing minor league ballparks. 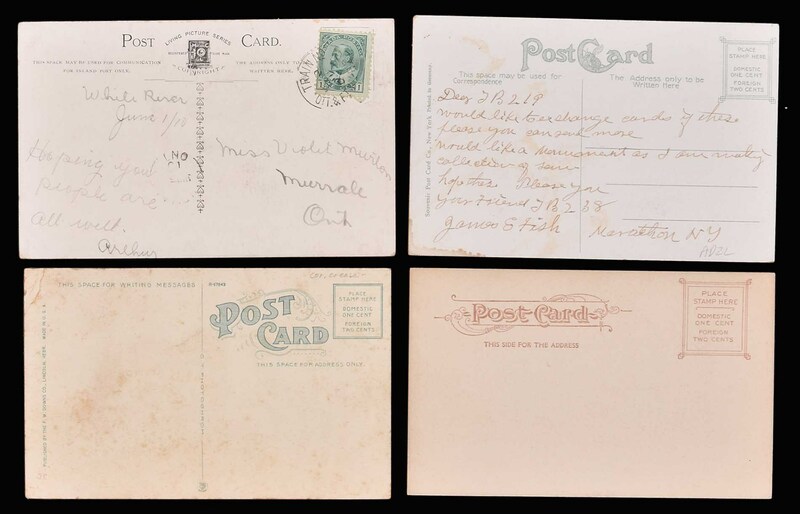 Six of the postcards have been addressed and mailed, and one has been addressed only. 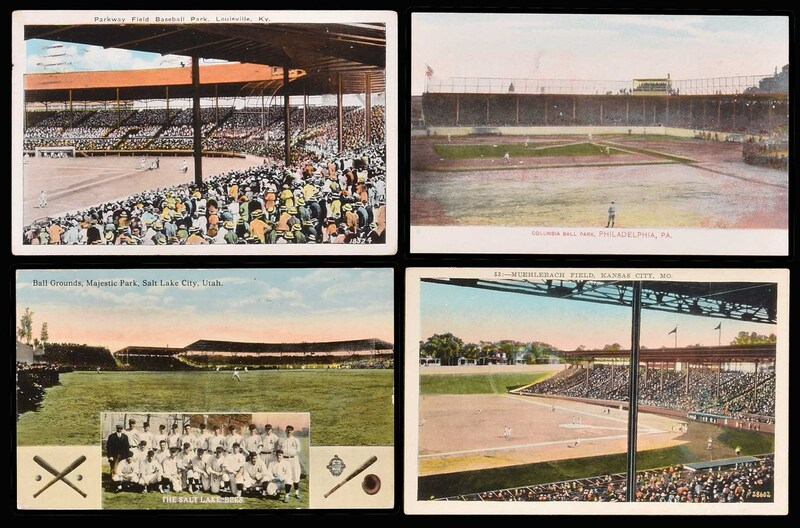 All measure approximately 3.5 x 5.5 inches. 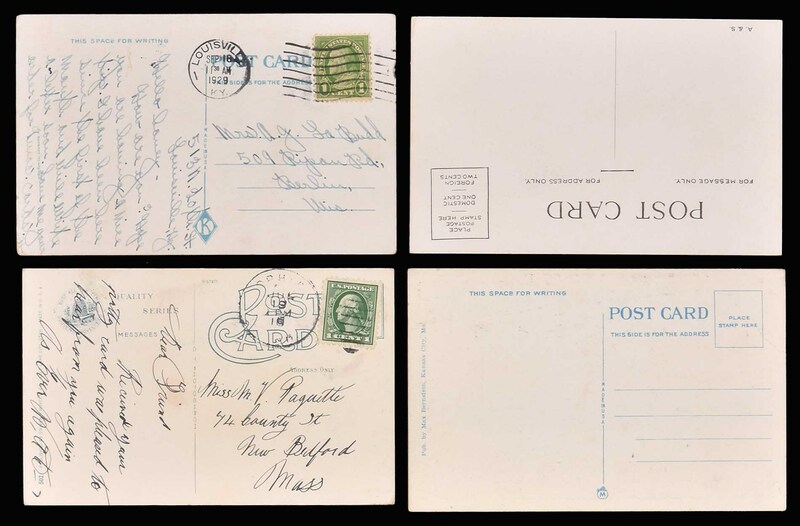 Condition ranges from Good to Excellent, averaging Vg-Ex. 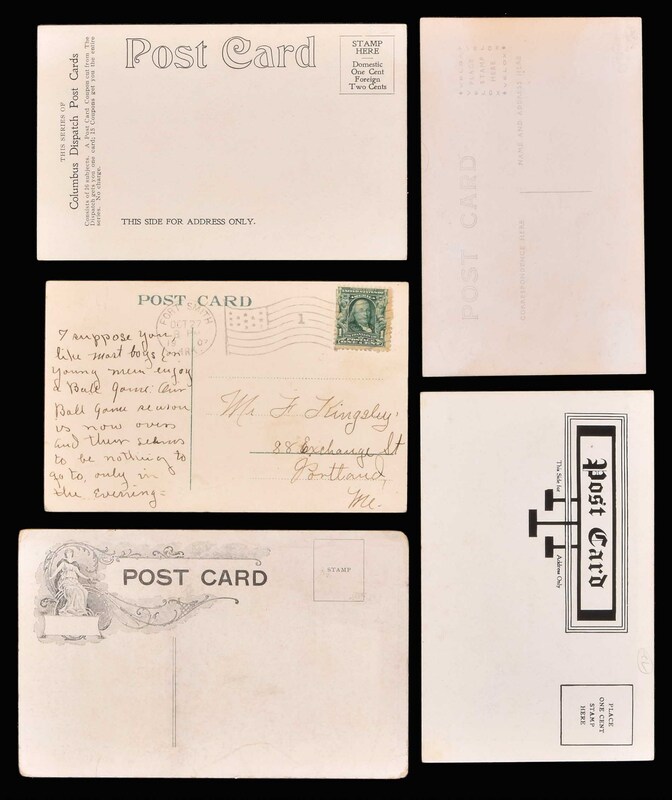 Total: 21 postcards.